So the little line appears on the home pregnancy test – You’re pregnant! Wonderful and terrifying at all once. For some women pregnancy isn’t the glowing, beautiful experience the baby magazines tell you it is, for some – like me, it is beyond exhausting and completely overwhelming, I have suffered with Antenatal Depression three times. When I was pregnant with my 1st I already had a history of depression, so this put me at higher risk, however you can experience Antenatal Depression whether you’ve any previous history of depression or not. 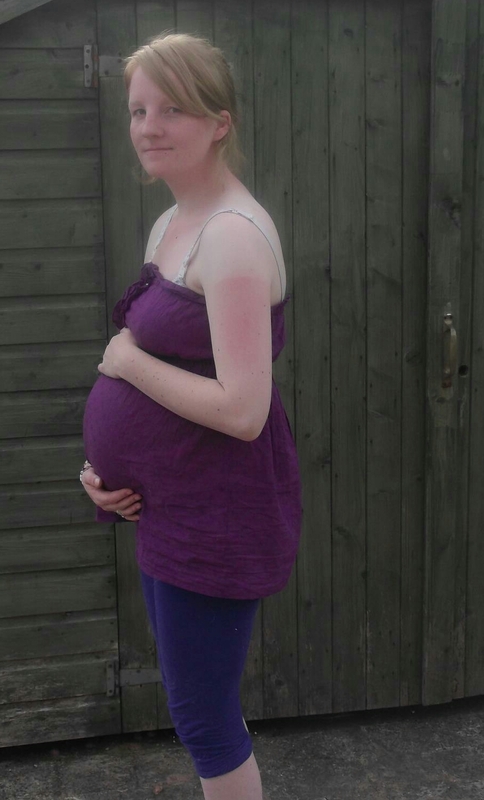 I soon began struggling in this pregnancy but really didn’t understand that Antenatal Depression was a thing, I had no idea, just like many first time mums I thought these were just normal feelings! Ao because of this I didn’t mention how I was feeling to my midwives. During my 2nd pregnancy my 1st child was just over a year so being pregnant along with a toddler to look after was exhausting and I struggled to cope a lot of the time, I was very tearful, moody and just no interest in doing anything. but again I didn’t say anything to anyone, I just got on with it because I feared I’d be judged for having another baby so soon, or being young, you name it, I was just worried, I worried be labelled a young mum who can’t cope. My third experience was by far the worst, from the minute that line appeared I was terrified, my older children were still very young 3.5 and 2. My husband was working long hours, I quickly sunk into depression which up until this pregnancy was at a manageable level (Having suffered with PND only a year or so previously), but I ignored it for a long time, put it down to tiredness (Why do we do that?!). In my third pregnancy I had thoughts of suicide, this baby was sucking the life out of me, I was beyond exhausted – emotionally, physically, and mentally! I struggled on in silence until my 28wk week appointment with the midwife where I decided to be honest with how I was feeling, I’ll be forever grateful that Dawn, the midwife encouraged me to see the GP there and then, otherwise I know I would have put it on my ‘To do list’ and never done it – and I dread to think how bad things would have got. I was prescribed Anti Depressants (not everyone’s choice but I knew they would help lift the fog) so the last few months of my pregnancy we’re just a little easier, although I did eventually end up with PND diagnosis too if I hadn’t been given the Anti Depressants when I was, there’s a high chance (and I don’t say this lightly) I wouldn’t have been here typing this post. We don’t talk about Antenatal Depression enough, approximately 10% of pregnant women will suffer from some degree of depression in pregnancy so by no stretch of imagination are you ever alone if you feel you aren’t coping with this massive life change! Please seek help from your midwife or health care professional.